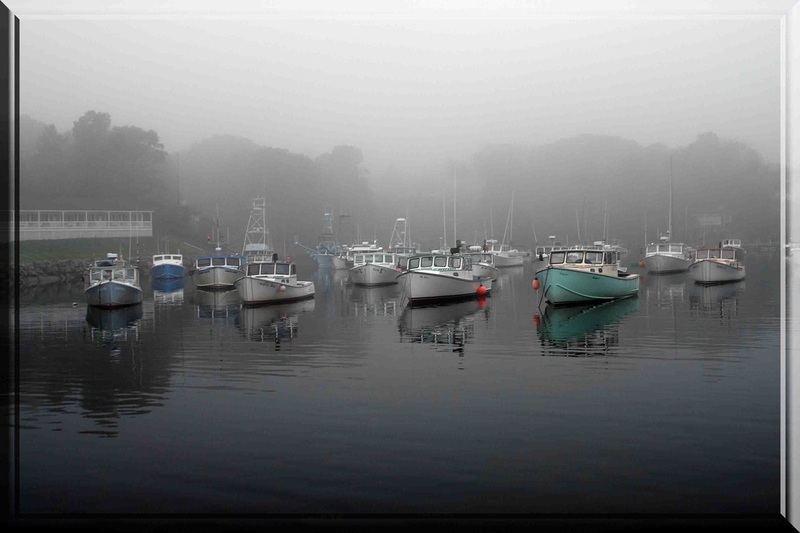 Is there anything more ethereal than a fleet of boats appearing from the thick mists of an Atlantic fog bank? Perkins Cove, ME is one of this little out of the way places in the middle of town. One moment the sun was bathing the area in a cascade of warmth and the next, we found ourselves blanketed in a thick cottony mist.